Khadse, who was number 2 in the Fadnavis cabinet, had resigned after a land deal by his family was questioned for irregularities. 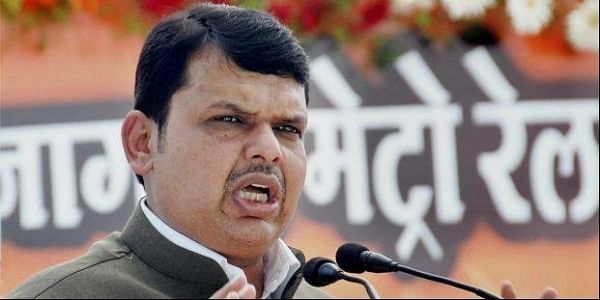 NAGPUR: Maharashtra Chief Minister Devendra Fadnavis today said the investigation into a first information report (FIR) lodged against BJP leader and former minister Eknath Khadse in a case of alleged land grab will continue. Today, on the last day of winter session of the state legislature here, former chief minister and Congress MLA Prithviraj Chavan asked about the status of investigations against current or former ministers of the BJP and Shiv Sena, including Khadse. In his reply, Fadnavis said, "After the allegations (against Khadse), we set up an enquiry committee. Later, a case (PIL) was filed in the Bombay High Court (by some activists). We requested the court to let us complete the enquiry, saying that action can be initiated subsequently. The court didn't agree and asked us to lodge an FIR against Khadse, so the relevance of the enquiry committee is over. "Its report is no longer relevant and we have filed the case (FIR). The investigation is going on," he said. The Justice (retd) Dinkar Zoting committee submitted its report on July 4. While it was not made public, some media reports had said that it gave a clean chit to Khadse. It was alleged that a plot of land at the Maharashtra Industrial Development Corporation (MIDC) area at Bhosri near Pune was sold illegally to Khadse's wife. Khadse was accused of using his influence as a minister in the matter. As to allegations against housing minister Prakash Mehta that his approval of a proposal of the Slum Rehabilitation Authority (SRA) to allow transfer of extra building rights to another scheme in Mumbai was improper, Fadanvis said inquiry was going on. "The Lokayukta, in his preliminary report, has decided what aspects should be probed. He has given Mehta opportunity to make his statement. The enquiry is going on," the CM said. As to allegations of graft against Shiv Sena leader and industry minister Subhash Desai regarding de-notification of government-acquired land in Nashik district, Fadnavis said, "I have received a letter from the chief of inquiry committee, stating that the probe is at the last stage. The report will be submitted to the government in the next 15 days." The government, on August 28, had set up a one-man committee of retired bureaucrat K P Bakshi to inquire into the allegations against Desai.